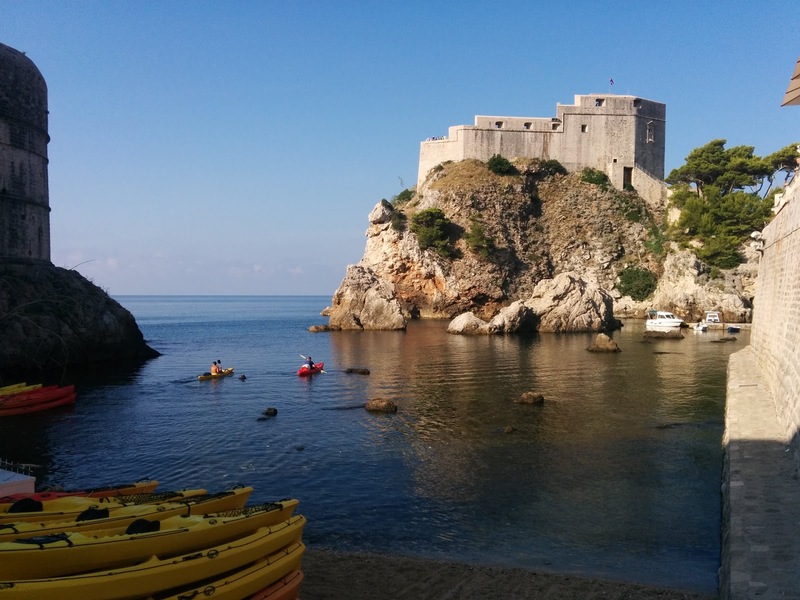 Dubrovnik is a beautiful city; though at the beginning of September it was absolutely packed with boat loads of cruise ship tourists. 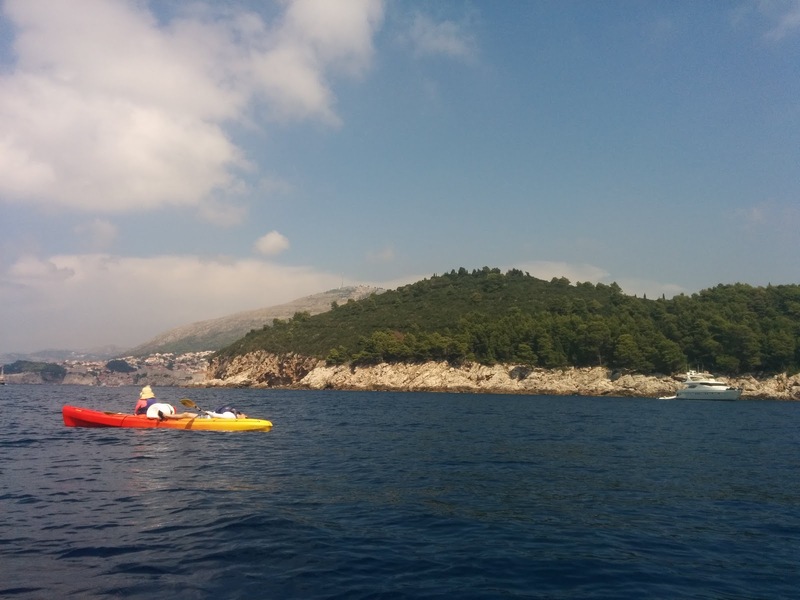 So seeing the city by foot wasn’t the best idea – so we took to the sea and hired kayaks for a morning! I was a little worried about taking my camera (I’m as clumsy as they come!) so please excuse the phone photos. We set off early in the morning to avoid the midday heat in our two man kayak, ready to see what thee seas had to show us. Little known fact; when I was younger I did a lot of kayaking, but I discovered that morning that that little talent has long disappeared! Whether you’re a seasoned pro (ahem) or a total beginner the instructors are there to give you a helping hand and make sure that you’re safe the whole way round. 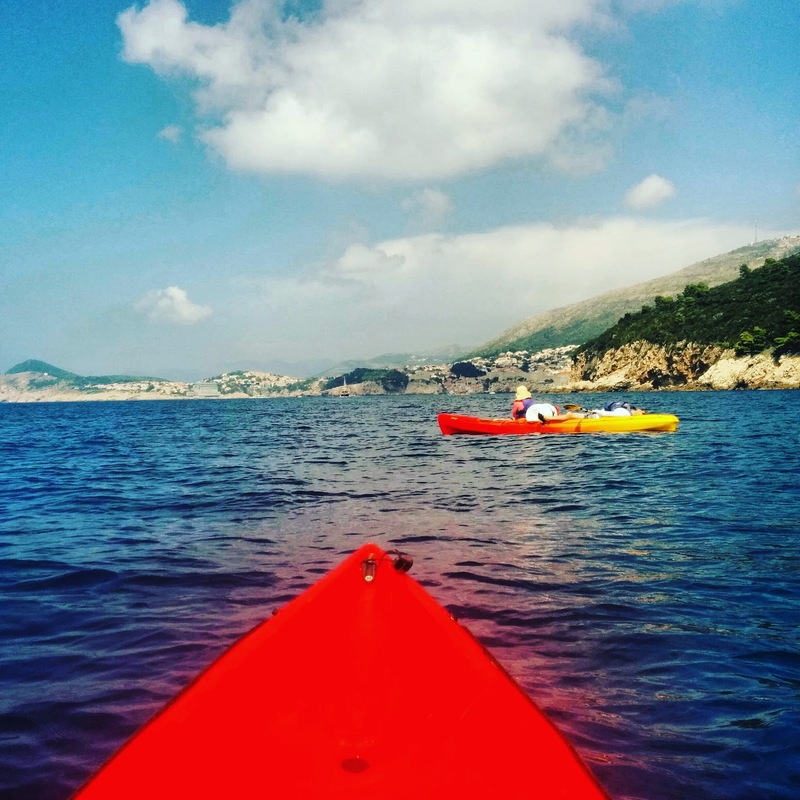 After being suited up in our life jackets, we headed out onto the sea to get a different view of beautiful Dubrovnik. It was a beautiful morning, and we kayaked for about 20 minutes to our first stop: a secluded little cove where we were to go snorkeling and swimming. I’d never been snorkeling before, but I realised just how much fun it is – I definitely want to have a real go and snorkeling. But there’s always the next holiday for that, right? 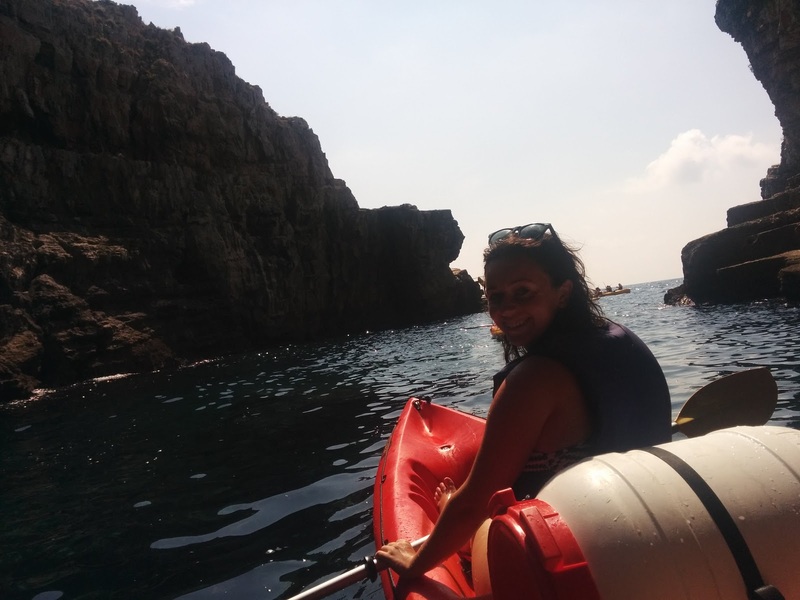 After about half an hour of swimming, snorkeling and generally enjoying the cool water, we jumped back in our kayaks to paddle round the luscious island of Lokrum. 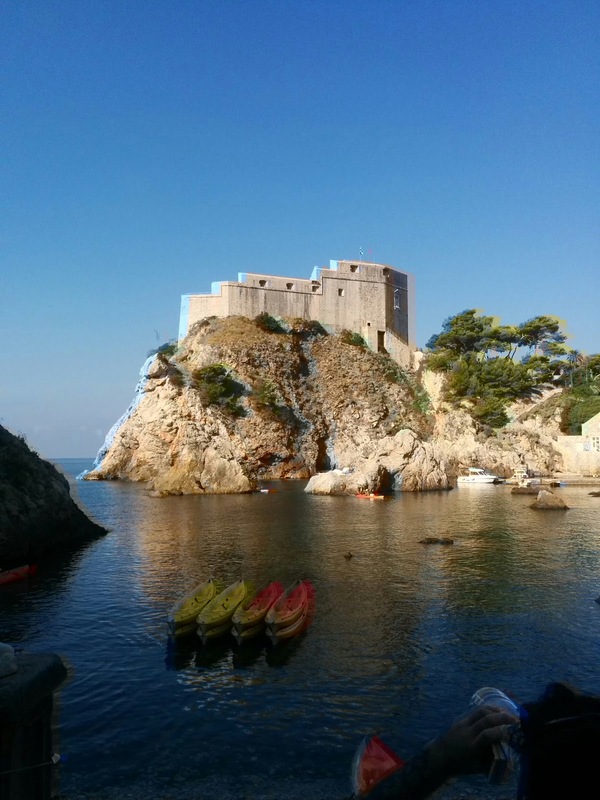 The whole experience was wonderful: it’s a much cooler, much quieter and more peaceful way to see both the beauty of old Dubrovnik, and to see the beauty that is Lokrum. 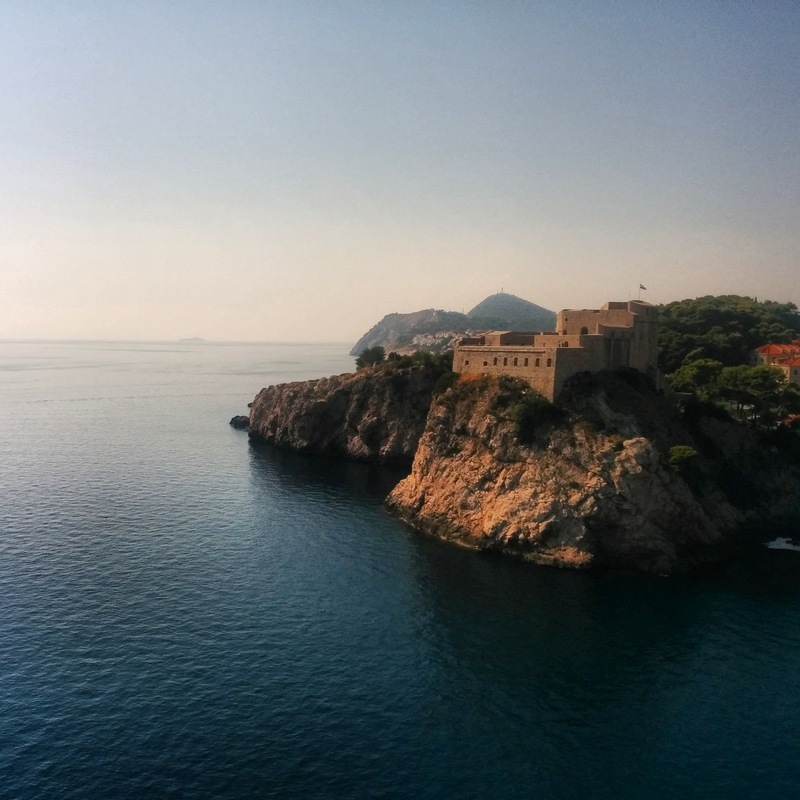 If you get the chance to experience Dubrovnik, make sure you see it from a different angle than just on foot – we saw so much more, and enjoyed the experience so much as our little group was made up of only 10 people, making it a much more intimate experience than walking round with crowd-loads of other tourists. 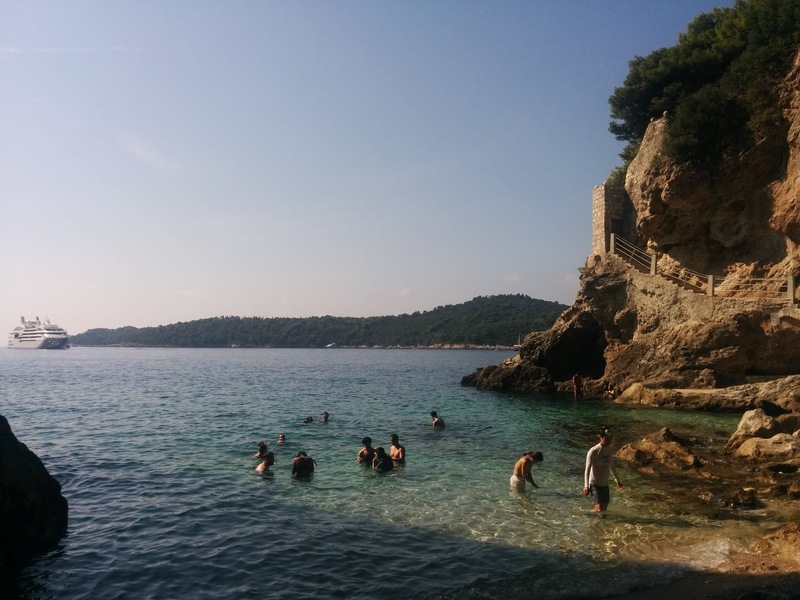 We booked our tour with Viator and paid a media rate, but all opinions are my own.